One of my favorite tools for visual cuing is The Motion Guidance Clinician Kit. I use it all the time in my practice. The combination of the chart and laser almost makes a game out of restoring motor control and mobility. Clinicians and coaches both tend to overwhelm with too many verbal, tactile, and auditory cues. 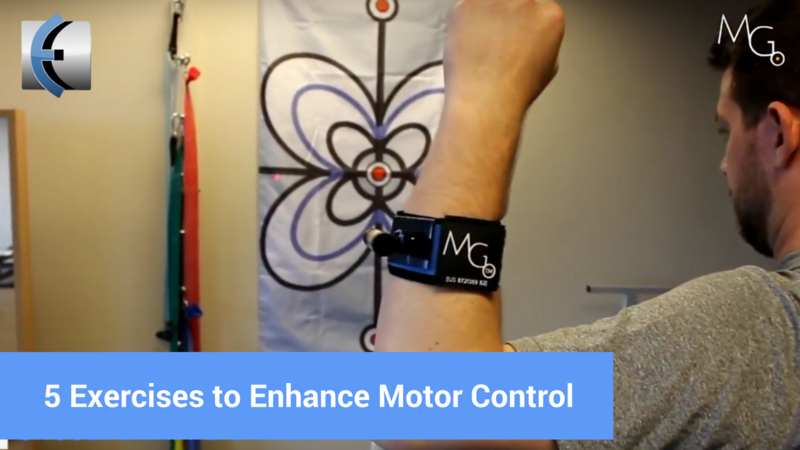 The Motion Guidance is a simple and effective way to improve motor control in a threat free and challenging manner. 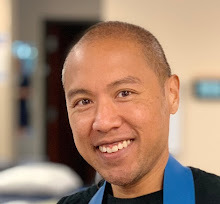 This video shows how you can add a visual cue for your patient to quantify glenohumeral external rotation: whether encouraging increased ROM, or setting an ROM limitation post shoulder surgery, the visual cue will add valuable real-time feedback. Add a dumbbell to load it up! This exercise takes a look at your patient's ability to dissociate movements of the upper body from the pelvis, moving from the upper body while isolating the lower body. Body awareness can be inhibited in persons with pain, so this exercise may be more challenging than it looks! Are your patients performing side-lying abduction with ease? Add a new component of motor skill while sustaining various degrees of hip abduction and visualize both position and fatigue! The visual feedback can also be a great cue for your patient's hip position even during a simple side leg raise, to alert if they are moving into compensatory hip flexion during ROM. Turn a simple balance exercise like tandem stance into more of an engaging game, and also allow your patient to visualize their trunk position and how stable they are: add challenges like perturbations, or throw in some upper body band exercises as needed. This exercise takes a look at your patient's ability to dissociate movements of the upper body from the pelvis, moving from the lower body while isolating upper body. Body awareness can be inhibited in persons with pain, so this exercise may be more challenging than it looks! Interested in The Motion Guidance Clinician's Kit? Check it out below!